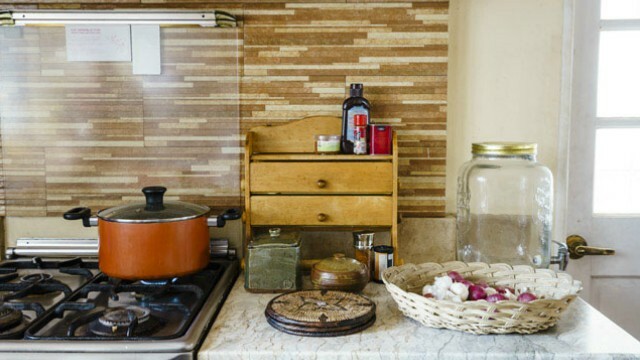 We've got helpful hacks for everything but the sink! 1. Organize according to use. 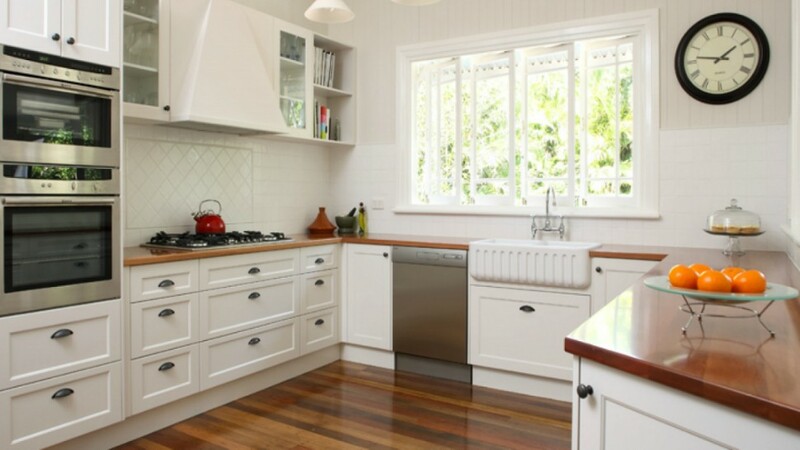 Assess how your appliances take up space on your countertops, and store them accordingly. Consider frequency of use as the rule of thumb. If the coffee maker is used daily, keep it out in the open. 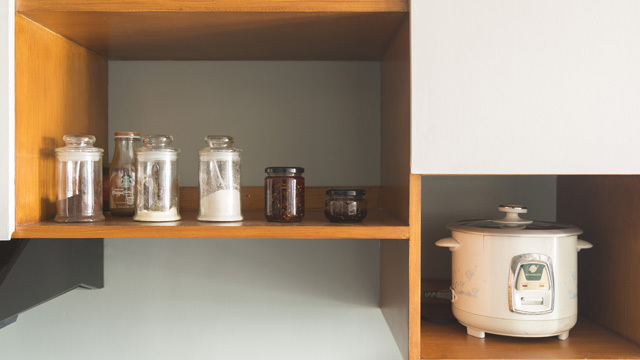 Stash items that you don't use as much, like the crock-pot or blender, in a cabinet. 2. Keep your pot lids in order. A rack that attaches to the inside of your cabinet door will prevent lids from going astray. Sort everything closest to where the items will be used. Cooking utensils should be near the stove. 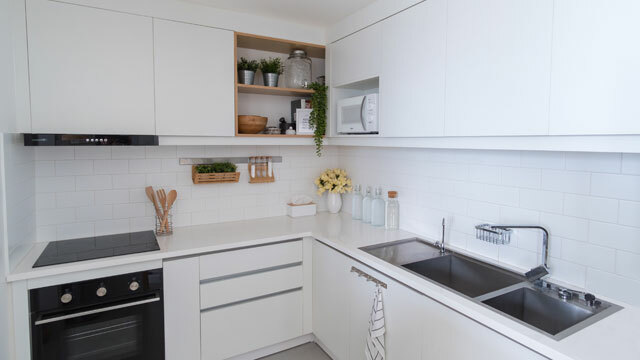 Group items together for easy access; make a coffee or tea station where you have the coffee and tea, sugar, mugs and filters. If you tend to have a hard time finding things that are tucked away in the back of your cabinets, write out an inventory list and tape it to the inside of the cabinet door. Clearly label your spices and place the ones you use more often toward the front of the rack. You can also create a spice drawer—each bottle can be placed label up, making it easy to see all of your herbs and spices at once. 6. Standardize your storage containers. Use containers that are uniform in size. This way, your counter will look more sleek, and you'll never have the problem of matching the cover to the container since one size truly fits all. This article ("Remembrances of Kitchens Past") originally appeared in the August 2008 issue of Real Living Magazine. Main photo by sublimegroup.com.au.